Unlike yesterday when all four BSE indexes advanced, today all closed on negative territory. BG40 declined the most – 0.9% to 348.59 points. The blue chip index SOFIX lost only a slight 0.08% to 1244.08 points. BGREIT fell 0.82% to 97.08 and BGTR30 lost 0.16% to close at 836.19. 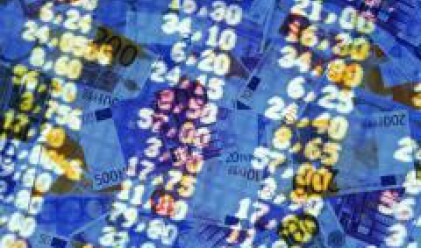 BSE's total turnover reached 7.07 mln leva (3.6 mln euros). 72 (56%) out of 129 active positions ended the day with gains. The value of block and other agreed transactions came to 286,000 leva. Oil and Gas Exploration and Production continued to advance. The stock rose 5.1% to 8.45 leva today. It has added some 37% since May 15. Synergon Holding climbed 0.64% to 9.44 leva at a turnover of 12,822 shares. Sparky Eltos lost 2.64% to an average of 12.55 leva after 17,373 shares changed hands today. FIBank was again the best performer among banks listed on BSE. The stock appreciated 1.79% to 7.4 leva at a turnover of 77,970 shares. 41,563 shares in Corporate Commercial Bank changed hands at an average of 88.7 leva, or 0.52% up from opening. Central Cooperative Bank rose 0.19% to 5.4 leva. Today's session was again positive for Lomsko Pivo. The brewery's stock closed at 3.62 leva, or 1.97% up from opening. Enemona was also among today's list of gainers. Shares once again passed the 20 leva benchmark price, adding 1.52% to 20.08 leva apiece. Agria Group Holding also continues the winning series, ending +0.56% to 9.05 leva. Vaptzarov Holding was once again on the top gainers list, after surging 10.15% to 36.14 leva. Let's take a look at infrastructural companies. Holding Roads climbed 5.37% to 1,117.3 leva and Moststroy gained 6.09% to 156.45 leva. Trace Group Hold rose 6.26% to 155.28 leva. The surge that we saw on the position of Mashstroy yesterday was repeated today. 6,066 shares changed hands on the position bringing the average price 4.18% up to 39.8 leva. Elma rose 2.13% to 4.8 leva, we must note that the stock has added some 29% since May 8. The fluctuations on the position of Polimeri are continuing. Today the stock closed +4.52% to 4.86 leva.